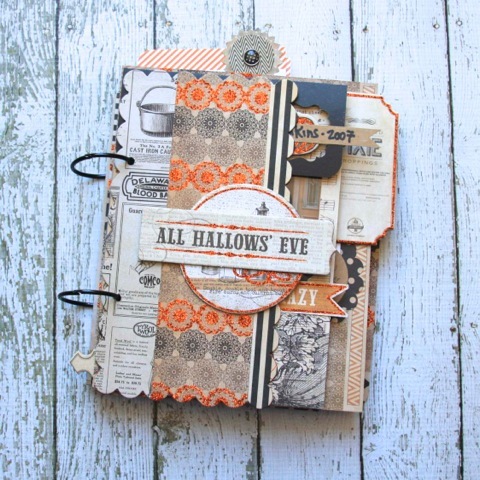 I'm over on the My Mind's Eye blog today, where I'm featuring a Halloween mini album created with the Lost & Found Halloween paper collection. LOVE This Monika! 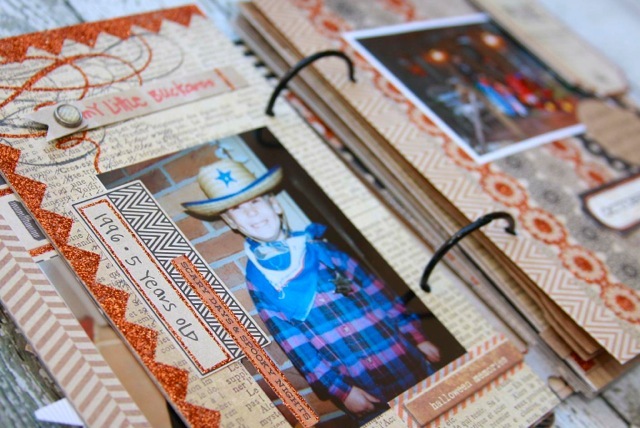 Love this collection and love what you did with it! love that little picture of Zach!! I am not seeing this over on the MME blog though. Maybe it is not up yet? Wow Monika!!!! Look at that cover!!!! Adoring the layers and textures so much. Rockin' the mini for sure!!!! love it... Can't wait to see more!!! I bought this line to make my Halloween mini album and just couldn't get going on it. I went totally blank. I can't wait to see what you've created to get my creative juices flowing again. No, I'm the silly one that messed everyone up. It should be up soon, though, so keep a look out. I'd love to see your mini book...leave me link when you finish it so I can stop in and take a peek!